On April 11th, 2017, United Territories of Pacific Islanders Portland (UTOPIA PDX) was established, and they provide sacred spaces to strengthen the minds and bodies of QTPIs - Queer and Trans Pacific Islanders - through community organizing, political engagement, and cultural stewardship. 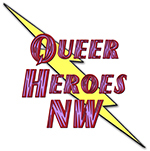 UTOPIA PDX conducted workshops for Queer, Trans and Questioning Pacific Islander Youth at Q Center, UPRISE Pacific Islander High School Conference in Seattle, Washington, and the Pacific Islander Student Association Conference and Queer Student of Color Conference both at Portland State University. UTOPIA PDX also participated in the 3rd Annual McLaren Youth Facility Pride Celebration. Just after a year of establishment, UTOPIA PDX reached their 501c3 status on April 13th, 2018. In celebration of Pacific Islander Heritage Month in May 2018, UTOPIA PDX has hosted Portland’s first-ever Pasifika Health Fair and Blood Drive at the American Red Cross on Saturday, May 19th, 2018, then later that day, co-hosted with QDoc Film Festival the “Leitis in Waiting” documentary of a strong yet vulnerable QTPI narrative from the Kingdom of Tonga in the South Pacific. On Saturday evening, May 26, 2018, UTOPIA PDX co-hosted with Islanesia Pasifika Night at Q Center – celebrating their lives through traditional song and cultural dance as well as through storytelling of their QTPI roots with an island-style dinner. UTOPIA PDX along with other Queer and Trans People of Color (QTPoC) organizations have formed Portland Pride Collective in collaboration with each other to be in community and solidarity during Portland Pride weekend in June 2018.